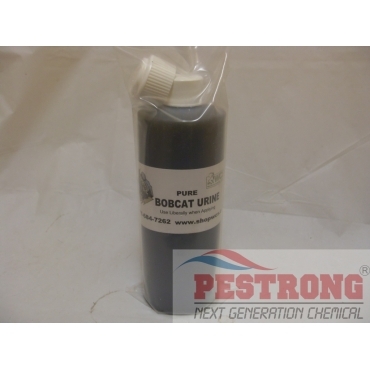 Where to Buy Bobcat Urine, Bobcat Urine Pee Pure - 16 oz - $18.75 for Sale with Fast Free Shipping! Bobcat Urine Pee Pure - 16 oz triggers a fear response in Mice, Moles, Voles and other Rodents driving them away from the area. Will cover approximately 1/2 acre or 21,000 sq. ft.
Mice, Moles, Voles and other Rodents driving them away from the area. This is just amazing, I guess nothing beats natural scent of predictor those annoying voles are completely gone after one application, I mean, I tried everything, but nothing worked, but just on simple application of bobcat urine and wow, nothing, not one vole. Very good use to drive away the unwanted rodents in my yard. Great product! I depend on these to keep our moles at bay. Shipments are fast and this website is very dependable! Awesome product with great price!